SEATTLE - May 1, 2018 - PRLog -- The Coalition for Quality Children's Media will present the KIDS FIRST! Film Critics Boot Camp for the first time in Seattle at Rainier Arts Center from July 30, 2018 to August 3, 2018. Taught by leading producers, directors and filmmakers, children ages 11 to 14 become red carpet film critics and reporters through this unique star-making program. In addition to Seattle, KIDS FIRST! will host this once-in-a-lifetime opportunity in New York City, Denver, Miami, Washington DC, Philadelphia, PA, Old Bridge, NJ, and Los Angeles. "We are thrilled to be hosting the KIDS FIRST! Film Critics Boot Camp at Rainer Arts Center. The KIDS FIRST! camps offer a one-of-a-kind experience for kids who really love film," said Kathy Fowells, SEEDArts Director, SouthEast Effective Development. The KIDS FIRST! 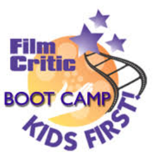 Film Critics Boot Camp is designed to offer young people the opportunity to learn the skills they need to critique and review films, present their reviews on-camera and interview celebrities. "Children will learn a variety of behind-the-scenes film industry skills as they watch and critique the latest films, write reviews, develop on-camera reporting and interview techniques and meet working film critics, celebrities, directors and producers of some of their favorite films," said Ranny Levy, the Coalition for Quality Children's Media's Founder and President. Following the camp, campers will have the opportunity to join the KIDS FIRST! Film Critics team of reporters. Reviews by KIDS FIRST! Film Critics reach more than seven million viewers every month through affiliations with broadcast, print and online publications including Huffington Post, Kidzworld.com, GRAND Magazine, Kidsville News, Working Woman and many more. KIDS FIRST! is a project of the 26-year-old national nonprofit (501-c-3)Coalition for Quality Children's Media whose mission is to teach children critical viewing skills and to increase the visibility and availability of quality children's media. KIDS FIRST! is supported by major entertainment industry leaders, teachers, librarians, media professionals, lobbyists, policymakers, child advocates, educators, parents and families nationwide with a cumulative membership of over 17 million.